In recent months the Trump Administration has terminated the Temporary Protected Status (TPS) Program for multiple countries and is reviewing the continued designation of several others. TPS for Hondurans was terminated and will only continue through July 5, 2018. The TPS designation for Nicaragua will terminate on January 5, 2019. TPS for individuals from Haiti was also terminated and the protected status will only continue through July 22, 2019. Individuals from El Salvador will lose their TPS status on September 9, 2019. The termination of these designations affects almost 300,000 people, many of whom have held TPS status and have lived in the United States for nearly 20 years. It is currently unknown what action the Department of Homeland Security will take against individuals whose TPS has expired. The Department could place individuals into removal proceedings by issuing a Notice to Appear, pursue detention and removal of individuals who no longer have TPS protection, or decide not to take any action against those who have lost TPS. Individuals who currently hold TPS may be eligible for other forms of relief and are encouraged to explore the options that may be available to them well before the date that their TPS expires. Eligibility for immigration benefits is highly case-specific and depends on a variety of factors, including prior entries to the United States, manner of entry, involvement in removal proceedings, criminal history, and the immigration status of certain family members. Therefore, we strongly advise anyone at risk of losing their TPS status to consult with an experienced immigration attorney to evaluate their options as soon as possible. If a TPS holder has a qualifying U.S. citizen or Lawful Permanent Resident family member who can file a family-based I-130 Petition on their behalf, then Adjustment of Status (an application for lawful permanent residency) or Consular Processing with a waiver could be available options. 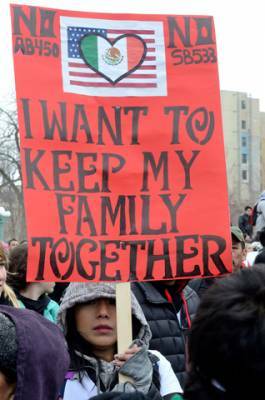 Qualifying U.S. citizen and Lawful Permanent Resident family members include spouses, children, parents, and siblings. If the TPS holder is an “Immediate Relative” has a U.S. citizen or Lawful Permanent Resident spouse, child over the age of 21, or parent (if the TPS holder is a minor), then TPS may offer a route to pursue Adjustment of Status. Under current case law, if an applicant resides within the Sixth or Ninth Circuits (comprised of the Eastern District of Michigan, Kentucky, Alaska, Arizona, California, Hawaii, Idaho, Montana, Nevada, Oregon, and Washington) a grant of TPS is considered a “lawful admission” for immigration purposes. This is significant because a TPS holder who resides in those circuits may be eligible to apply for Adjustment of Status to obtain their residency without departing the U.S., even if the TPS holder entered the U.S. without inspection. For TPS holders who reside in other states, Adjustment of Status would not be available if their initial entry was without inspection unless they first travel outside of the U.S. and return with an Advance Parole travel document. Advance Parole is a special type of travel permission that is available to those with TPS. Without a lawful entry, TPS holders who are “Immediate Relatives” and reside outside of the Sixth or Ninth Circuits would need to pursue Consular Processing in their home country, possibly with a Provisional Unlawful Presence Waiver (I-601A). If a TPS holder is the beneficiary of an I-130 Petition in a preference category (siblings of U.S. citizens, adult children of U.S. citizens, and spouses, children and unmarried adult children of Lawful Permanent Residents), Consular Processing with a Provisional Unlawful Presence Waiver (I-601A) may be an option.In addition, TPS holders with a family- or employment-based petition that was filed on or before April 30, 2001 may have the option of pursuing Adjustment of Status under INA section 245(i). In general, to be eligible for a non-immigrant or immigrant employment-based application, the applicant must have maintained lawful presence in the United States at all times. Any period of time that a TPS holder was without lawful status in the United States would prevent him or her from pursuing an employment-based option. In addition, the applicant must have a current or prospective employer willing to file a petition on his or her behalf. These include specialty occupations (H1B), extraordinary ability, National Interest Waiver, and PERM Labor Certification applications, among others. Those TPS holders who have a fear of return to their home country may be eligible to apply for Asylum and Withholding of Removal protections in the United States. To be eligible for Asylum, an individual must demonstrate that he or she has suffered persecution (serious harm) or fears suffering persecution in the future on the basis of his or her race, religion, nationality, membership in a particular social group, or political option. In general, an Asylum applicant must file within one year of his or her arrival in the United States. However, maintenance of TPS could be considered an extraordinary circumstance and loss of TPS protection could be considered a changed circumstance warranting an exception to the one-year filing deadline. If a TPS holder is already in removal (deportation) proceedings and under the jurisdiction of a U.S. Immigration Court, he or she should consult with an attorney regarding the possibility of pursuing Cancellation of Removal for Non-Permanent Residents or Asylum and Withholding protection. To be eligible for Cancellation of Removal for Non-Permanent Residents, the applicant must demonstrate good moral character, physical presence in the U.S. for at least 10 years, and that the applicant’s removal would result in exceptional and extremely unusual hardship to the applicant’s U.S. citizen or lawful permanent resident spouse, parent, or child. The immigration options described above do not encompass all of the potential relief options that may be available to current TPS holders. That is why we encourage anyone who currently benefits from Temporary Protected Status to consult with an experienced immigration attorney to obtain an individualized assessment of their potential options without delay.